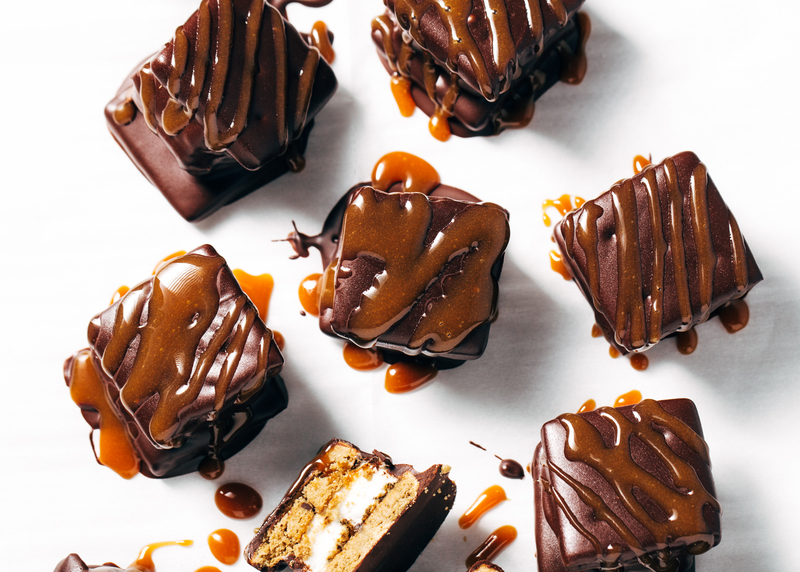 Chocolate covered caramel s’mores – because you can’t have too many ways to eat roasted marshmallows! 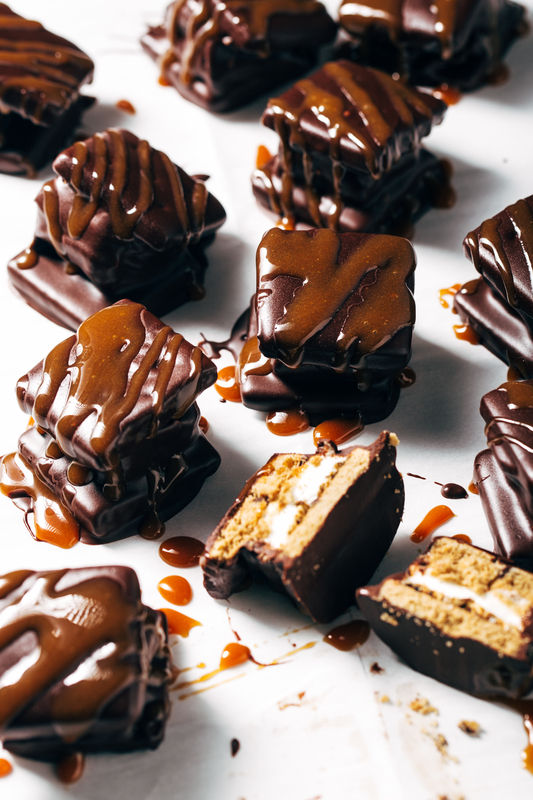 This recipe is sponsored on behalf of Campfire® Marshmallows. All opinions are, as always, my own. Touring Epcot and eating our way through the World Showcase’s special feature kitchens was the most fun I think we had all week. Well, that and the Halloween parade. Ok, let’s just say it was one of the countless awesome things we did. Last year, we went back to Disney over Thanksgiving. That time, we got to enjoy all of the amazing holiday kitchens that each country in the World Showcase had to offer. Again, every single dish was incredible, I have zero regrets! Both times we went to Disney, it was during some kind of special holiday event, which while amazing, it made it so we never really ventured into the regular restaurants and eateries within Epcot. Just the specialty stands and limited time menus. So naturally, when we got home and I saw on Instagram that Germany’s bakery serves chocolate covered s’mores drizzled in caramel, I had some serious ‘wishing I was back in Disney’ moments. At that point we had no immediate plans to return, I decided to make my own. I have a bit of German in my ancestry, after all. I picked up these adorable gluten-free graham crackers for the grocery store for the base. 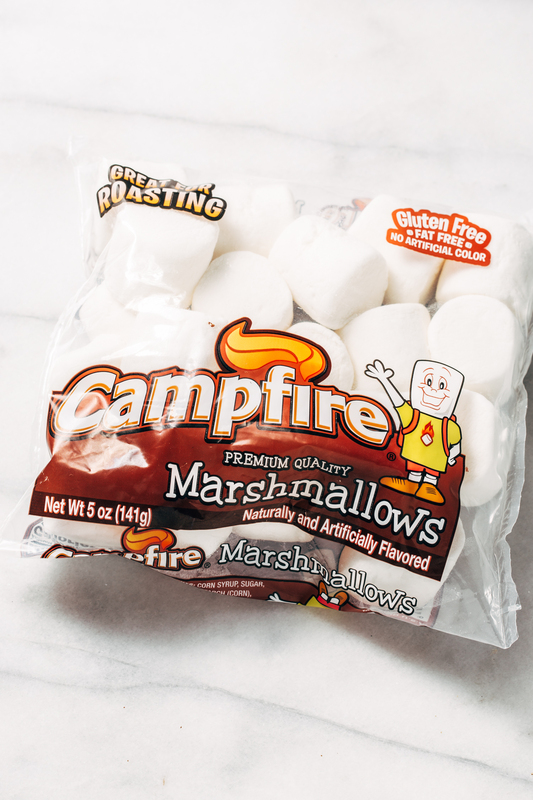 They are nice and tiny and fit a roasted Campfire® marshmallow perfectly! Roast your marshmallow – I like the regular Campfire® marshmallows for these! Sandwich between two graham crackers – small graham crackers or even cookies work great here! Chill to set, then serve! Super simple and these will definitely tide me over until we head back to Disney and I can hit up the bakery in Germany to try the original. And the best news : we won’t have to wait long, because we are heading back next summer! Roast your marshmallows. Sandwich the roasted marshmallows between two graham crackers or cookies (whatever you want to use). Dip sandwich in melted chocolate. 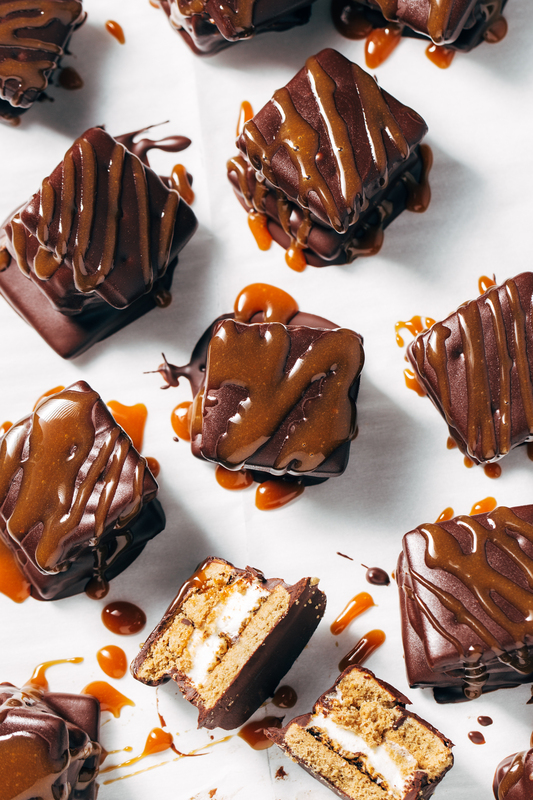 Drizzle with melted caramel. 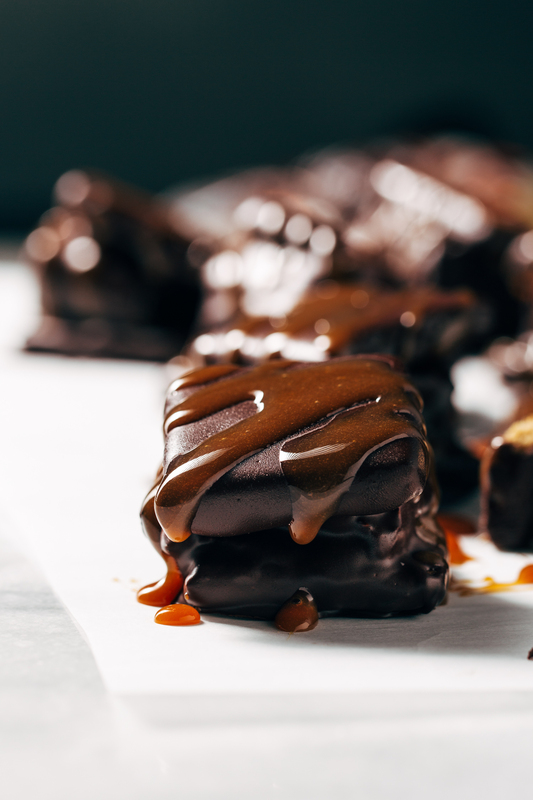 Let chocolate and caramel set before serving.